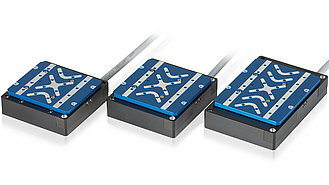 PI offers a broad portfolio of motorized linear stages. 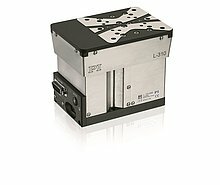 The huge variety of applications also means a huge variety of technical possibilities for the linear axes. Travel ranges extend from a few millimeters to meters and for precision classes, from nanometers to micrometers: PI adapts the drive, guides or sensor technology to the application conditions. There are vacuum versions for a large number of different models. 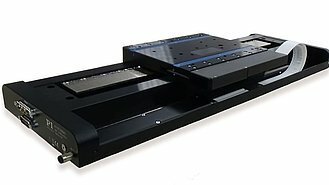 Multi-axis combinations can be realized with the help of adapter brackets or be more compact with matching Z stages and rotation stages. Motion controllers are available as benchtop devices, rack versions or compact OEM devices. The common factor for all of them is commanding via the General Command Set (GCS), which simplifies control and programming, and is independent of the drive type. 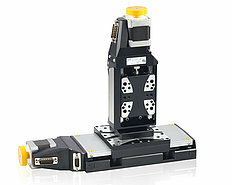 Multi-axis systems in multi-axis industrial applications with motion controllers from ACS are available. That ensures easy integration via Fieldbus interfaces for precision and motion-centric industrial applications.